We produce Audio Described notes for each production and publish them on our website as soon as the show opens. Unfortunately we don't currently offer full audio description for our shows, but this is something we are working on introducing as soon as we can, so do check back with us in the future. In the meantime we do provide Audio Described Notes for all our shows. 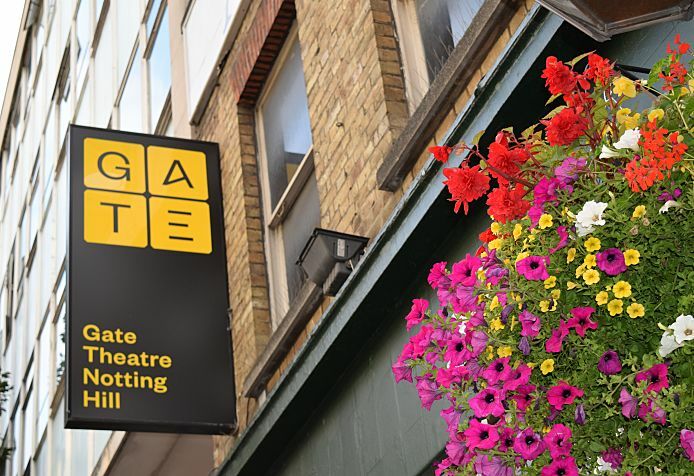 The Gate may be able to facilitate a touch tour so please get in touch with the Gate's Theatre Manager on hannah@gatetheatre.co.uk. Audio Described notes are now available for The Ridiculous Darkness. To download a copy of these recorded notes, please follow the links below. To download a transcribed version of these notes in print, please follow the links below. The Ridiculousness Darkness Audio Described Notes. To download a transcribed version of these notes in large print, please follow the links below. Download our Access Information for our audio described introduction by clicking Here. Guide and hearing dogs are welcome by request to either sit in the auditorium or to be looked after by one of our doting members of staff.